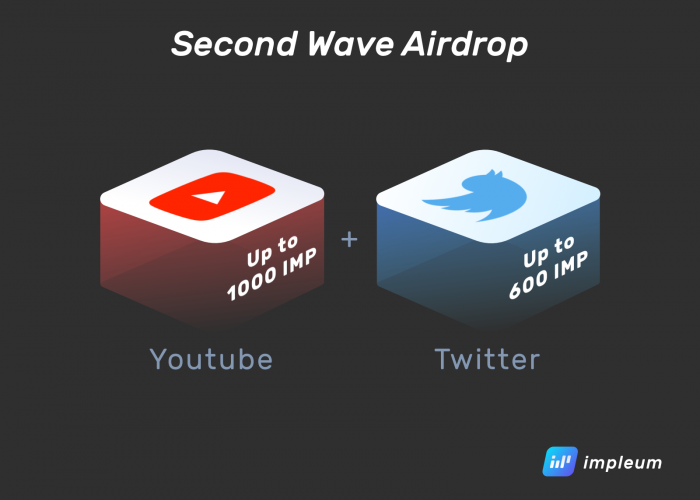 We are announcing the second wave Airdrop, which will be directed to Youtube and Twitter. 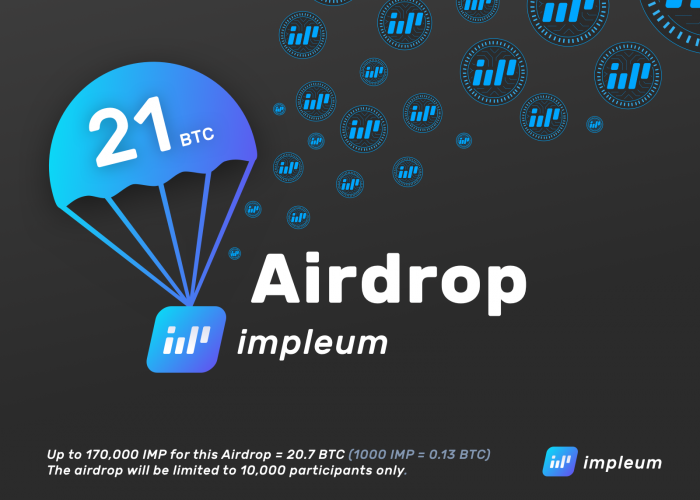 The total amount of IMPs that can be obtained for participation in this program is up to 1600 IMP. 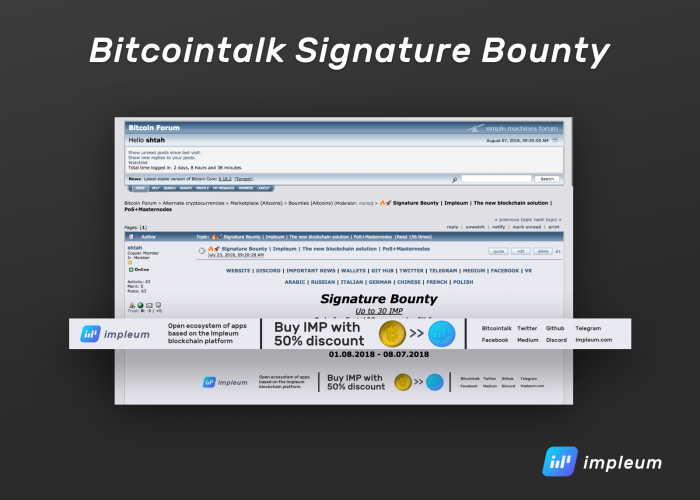 Terms of participation read here (https://bitcointalk.org/index.php?topic=3655735).